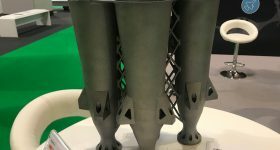 This digest of 3D printing news, features Lockheed Martin, Harford Community College, Jesse Garant Metrology Center, MakerBot, America Makes, SLM Solutions, DisTech Automation, Leapfrog, Formlabs, Porsche, and Duke University. 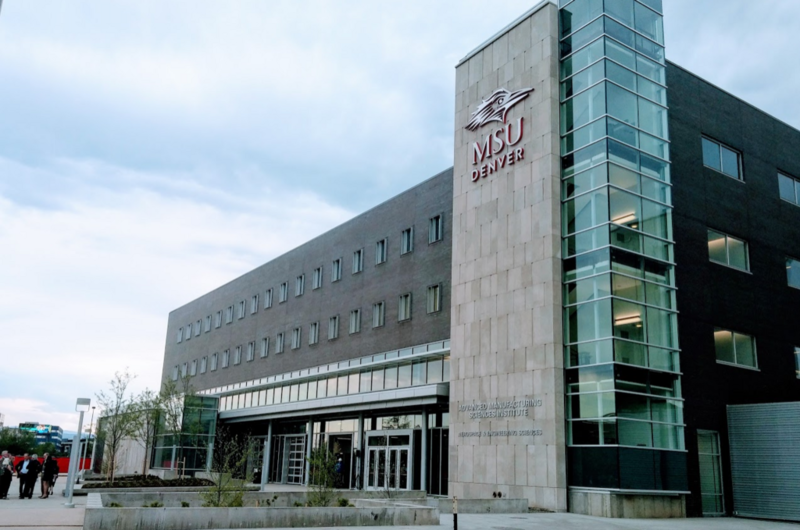 Denver’s Metropolitan State University (MSU Denver) has recently been aided by a $1 million donation from defense and aerospace company Lockheed Martin. 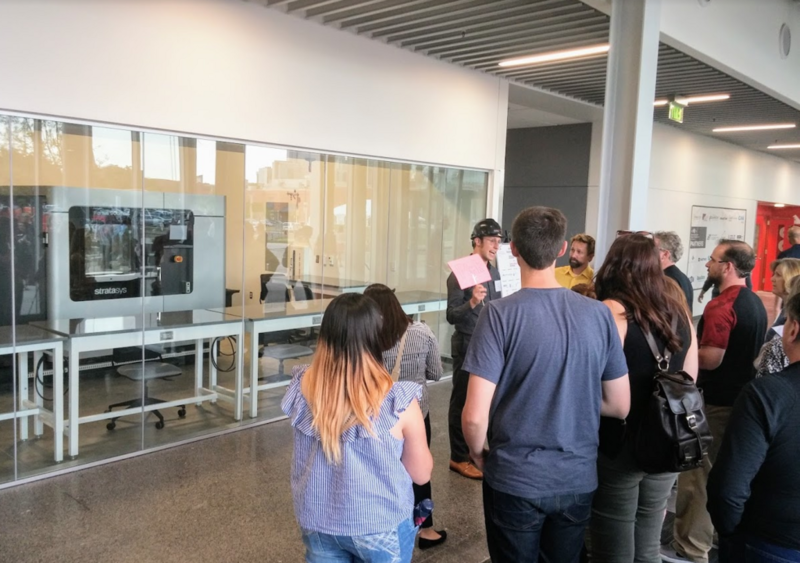 The funding will be spread over the next four years to support manufacturing at the Lockheed Martin Additive Manufacturing Laboratory which is located in the newly built Aerospace and Engineering Sciences Building at MSU Denver. 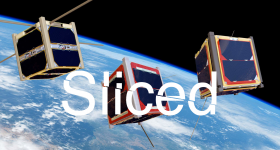 Emerging manufacturing technologies will create possibilities we can only dream of today, like printing an entire satellite from the ground up or printing complex parts that we can’t machine using traditional methods. We’re helping students design with those new concepts in mind so the next space missions are innovative, affordable and faster to market. The Stratasys Fortus 900mc 3D printer during a tour of the facility. Over in Maryland, Harford Community College has been awarded a $200,000 grant for Advanced Technological Education (ATE) from the National Science Foundation. The funding will be used to create an additive manufacturing career pathway at the college to cater the growing market in Northeastern Maryland with partnerships between industrial companies. 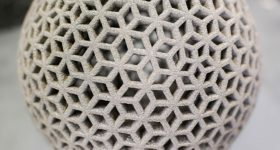 Canadian part inspection company Jesse Garent Metrology Center has committed to a $15 million investment for part inspection systems as a result of a growing demand from the additive manufacturing industry. 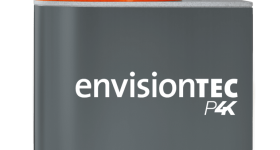 …this development is part of our continued focus on customers needs, and is at the core of our efforts in education to dramatically improve student access to 3D printers. As more and more districts adopt Chromebooks and rely on web-based apps, 3D printers are being implemented in those same classrooms – making fully connected, cloud-based 3D printing more important than ever for both teachers and students. In addition, MakerBot has announced the platform will also benefit from Tinkercad integration. The system will be available in the coming weeks so ready in time for the start of the next academic school year. The 3D printing workflow with MakerBot and Tinkercad. Image via Business Wire. Providing students with a digital design and manufacturing experience is project based learning at its finest and will help develop a pipeline of future talent in additive technologies. Our goal is for the Polar Cloud to make digital manufacturing universally accessible where anyone with a browser can learn, design and ‘make’ regardless of their economic, political or social condition. 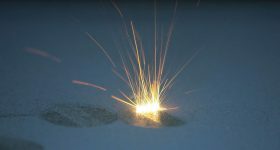 U.S additive manufacturing imitative America Makes is requesting educational content as part of its InnoCentive program. The aim is to support education in this field and subsequent adoption of the technology. For more details, check out the Innovation Sprint: Additive Manufacturing Curricula Challenge page. 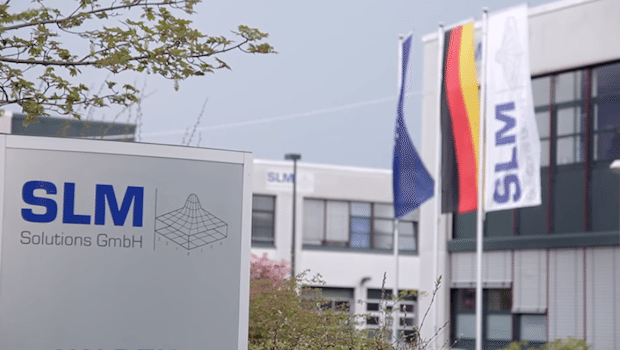 German metal 3D printer manufacturers SLM Solutions has announced it will move into a new headquarters that enables production up to 500 machines a year. SLM Solutions received 128 orders in 2016 for its metal 3D printers which was an increase of 28 from the year prior. The new building is expected to be completed by early 2018 with the move expected to occur in Q1. Adding to the new machine production capacity, SLM will also be able to house 150 more employees from the current number of 350. 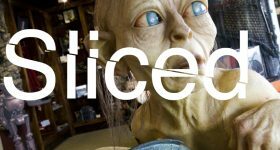 Ontario-based 3D printing company DisTech Automation has released its Prometheus add-on which enables multi-material 3D printing . 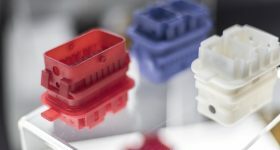 The system allows printing at up to 300°C. The idea behind the product is to allow affordable printers to have access to advanced capabilities. The Prometheus initially crowdfunded on Kickstarter raising $76,215 (CAD) in 30 days. The system $269.00 (USD). 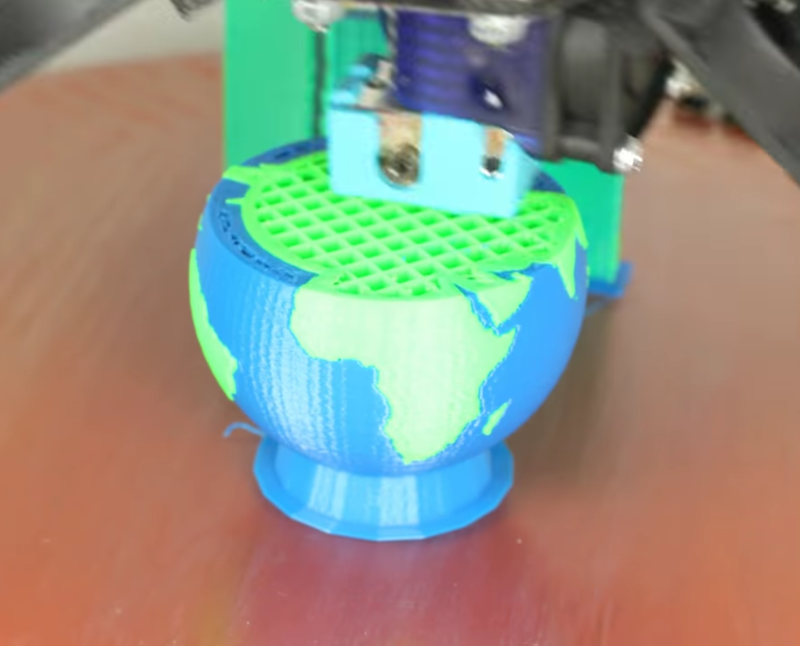 3D printed globe using the Prometheus multi-material system. Image via DisTech Automation. 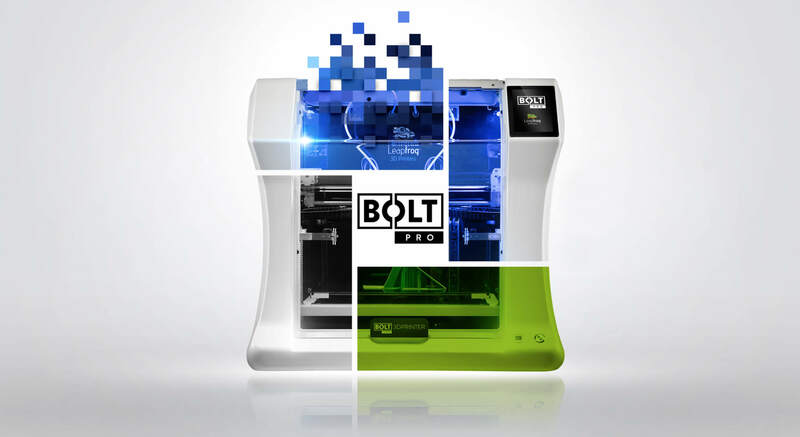 Dutch 3D printer manufacturer Leapfrog has released its Bolt Pro industrial 3D printer. 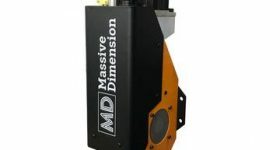 The machine is intended to provide an industrial alternative to the standard Bolt 3D printer and will retail at $7,285. The printer has some advanced features including a 7 inch touchscreen and industrial build chamber. Leapfrog’s CEO, Sander Adam, gave us his insight into the future of 3D printing recently. The Bolt Pro 3D printer. Image via Leapfrog. I’ve had about sixty altogether and I own three at the moment – 1951, 1952 and 1958 models – as well as engines, spare parts, documentation and so on. 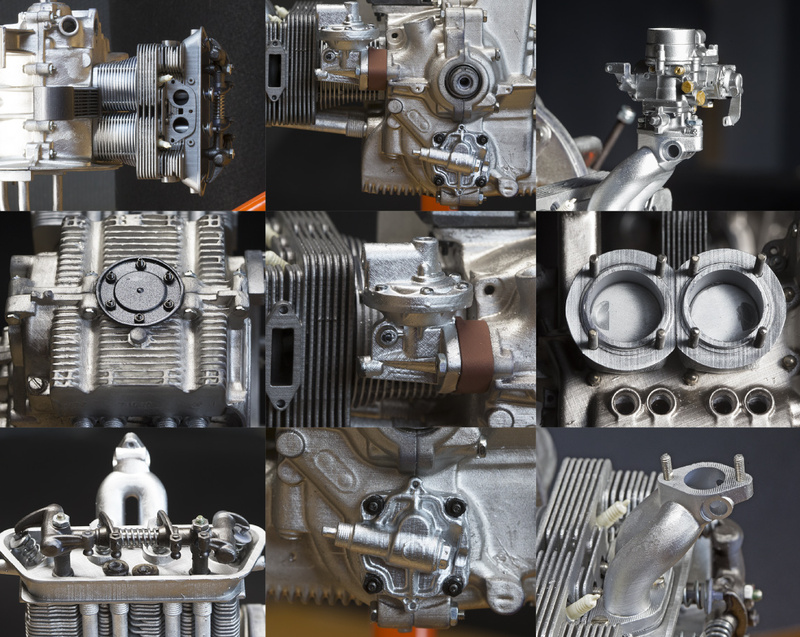 Guerini used a 3D scanner to create a digital model of the engine, remodelled the file with Rhino and then 3D printed the many, many parts with a Formlabs Form 2 SLA printer. Assembling the 3D printed and painted parts. Image via Creatr. The finished engine is a 1:4 scale replica of a vintage 1952 Porsche 356 and was made from 250 parts. 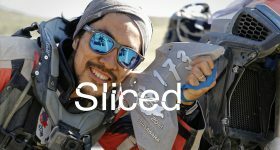 The parts were printed in five different batches which took 45 hours in total. The completed 3D printed scaled model. Image via Creatr. The 3D printed Palmyra Arch – created to preserve the historic Syrian monument – is on tour. The 3D printed monument has drawn over 2 million visitors in two days since arriving. The arch could previously be seen on London’s Trafalgar square. Considering our own rich heritage and its importance to us, Italy plays a leading global role in issues pertaining to culture. We are looking to translate this strength into action by promoting the concept of cultural diplomacy around the world, and raising awareness around heritage preservation. Duke University is often at the forefront of 3D printing research. 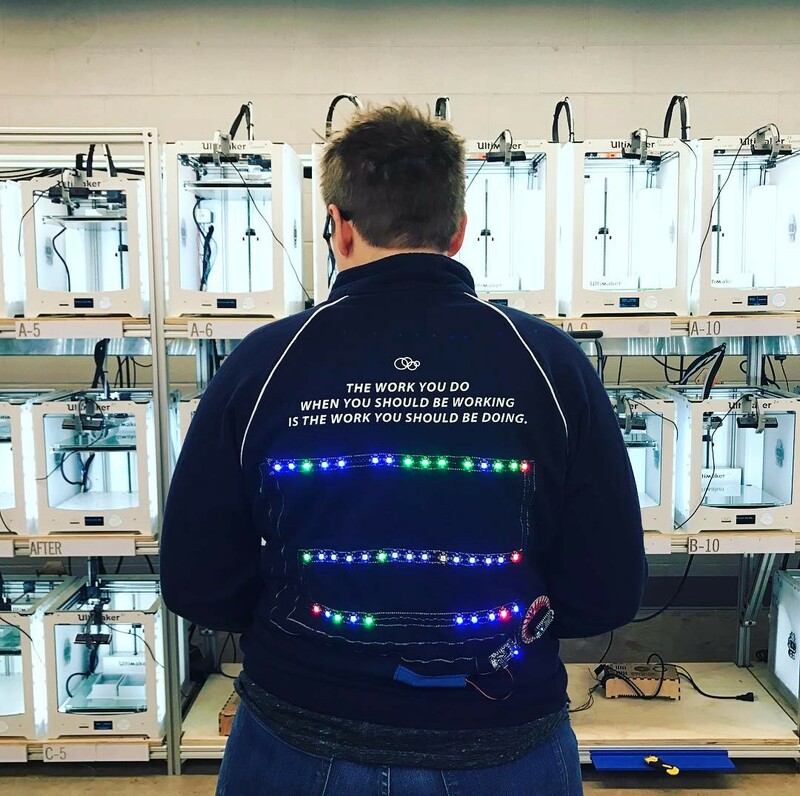 Now one of Duke’s Innovation Co-Lab users has created an LED jacket to monitor its 3D printers. We recently reported on the Lab’s use of proprietary software to control its array of 3D printers and now the team has taken this one step further by delving into the fashion industry. The smart jacket allows users to monitor the status of the 3D printers (as long as they’re not the ones wearing it) and for full details on how to create the jacket, visit Sally Hall’s post on Instructables. The jacket in its natural habitat. Photo via sallyhall on Instructables. Finally, elsewhere in the maker community, Thingiverse user Evan Stanford has created a mechanical laser pen device with his 3D printer. The system enables Evan to project a number of different images by turning the crank. If you’d like to build the mechanical laser show, the files are available here. Featured image shows the Sliced logo over the image of Giuseppe Guerini’s 3D printed Porsche engine parts. Image via Creatr.